Brushed aluminium (Dibond) consists of two strong external layers of aluminium with in between a hard black coloured core of polyehtylene. The bottom layer has a white finishing. 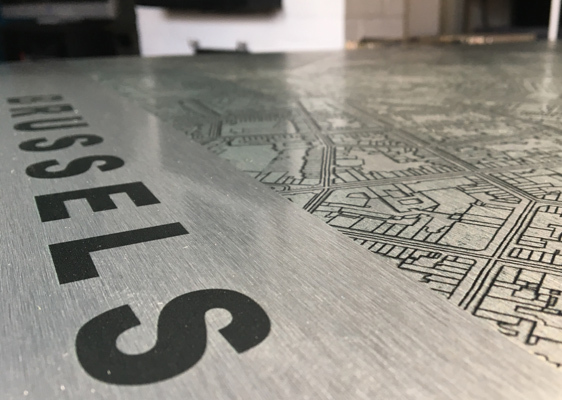 The top layer, on which we print, is made of brushed aluminium. 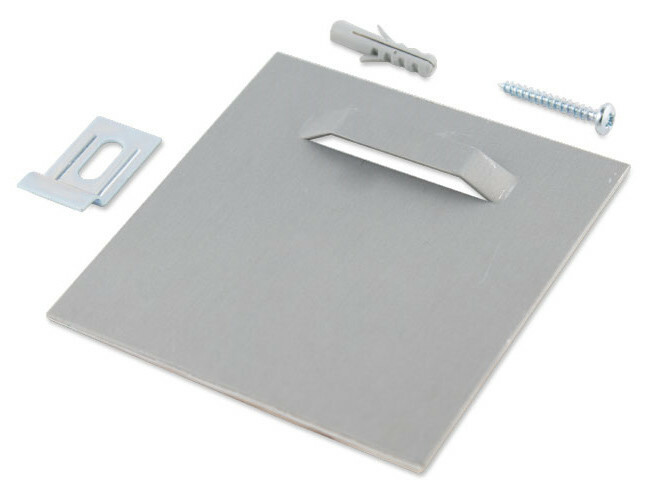 The material has a thickness of 3mm. Dibond is dimensionally stable, UV and water resistant, and suited for long term use. 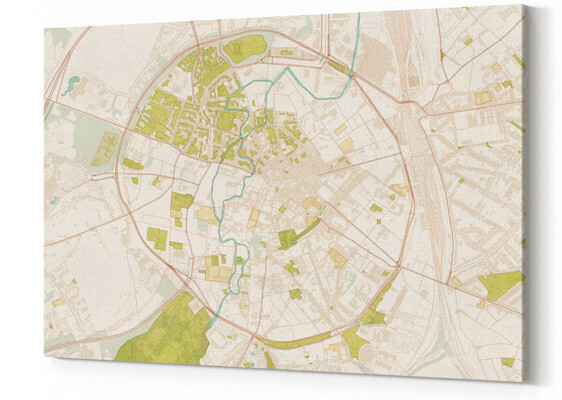 With brushed aluminium Dibond, we always print directly onto the panel, with a UV flatbed printer. This printing procedure guarantees the best result. 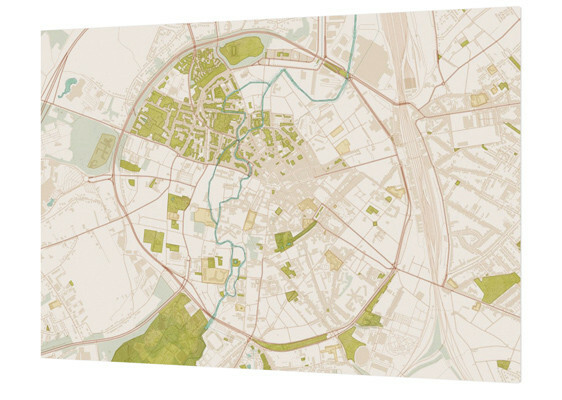 The Citymaps in brushed aluminium Dibond are suited for both indoor and outside application. They can be used for years in all weather conditions. The material is very strong and not susceptible extreme hot or cold temperatures. It can be used outside for a very long time (30+ years). And for indoor use, it serves its purpose for ever (well, at least for about 100 years). 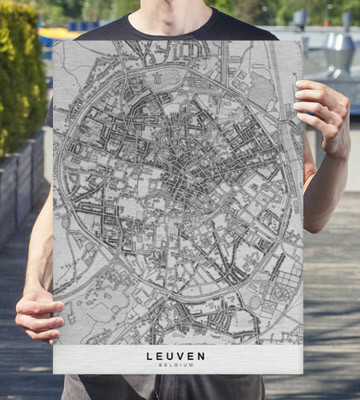 Mounting the aluminium Citymap is really easy. We include a hanger and a hanging plate. Mount the hanger to the wall. 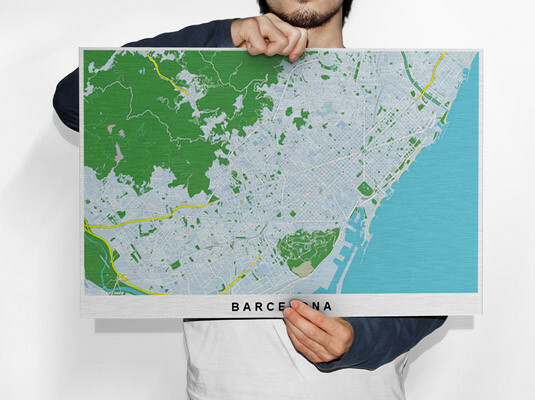 Stick the hanging plate to the Citymap. And you're ready!